Your speeding through the planning process! Church is booked, reception is planned, and attire ordered. Next detail to plan: Your Bouquet. One problem though: You don’t really like the frilly, run of the mill bouquets featured in magazines that you have seen at every wedding you have ever been to. You aspire to have something different, something no one else has. 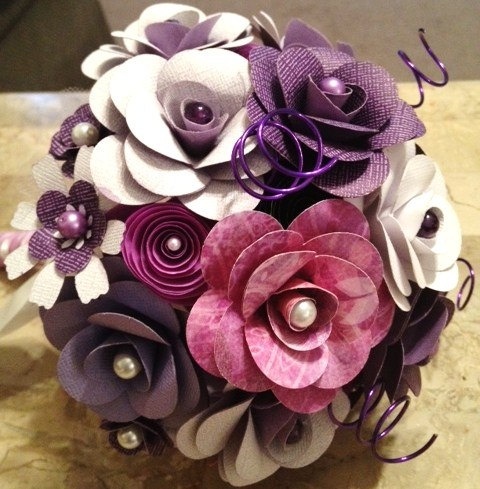 Brooch Bouquets are the perfect answer! Using new brooches, items collected from estate sales, or even family heirlooms – these types of bouquets not only last forever but are a breath of fresh air for the modern bride. 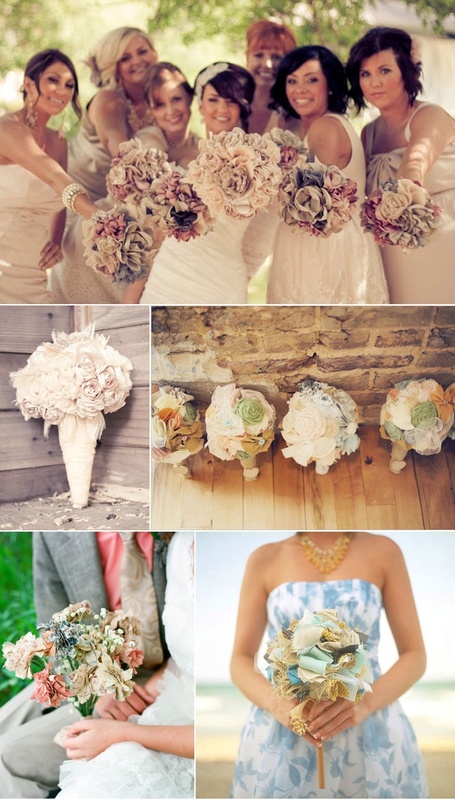 Feather Bouquets are another fun spin on the traditional flower bouquet. Head to the craft store or maybe go on a nature walk. Whatever the inspiration is for your celebration, a feather bouquet could add the perfect texture. 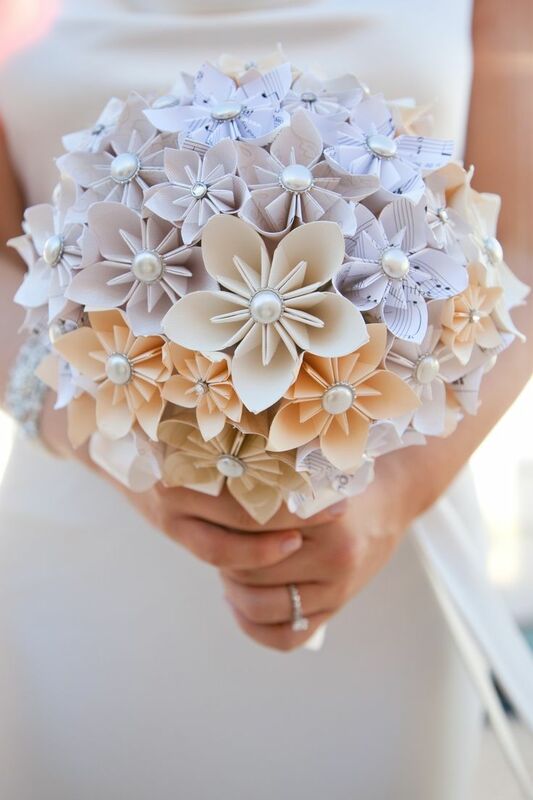 Paper Bouquets are not only creative but maybe the most unique way to do something other than the traditional floral bouquet. Artisan flowers can be purchased in a wide variety online. Feeling creative? Why not just have a DIY paper flower party? 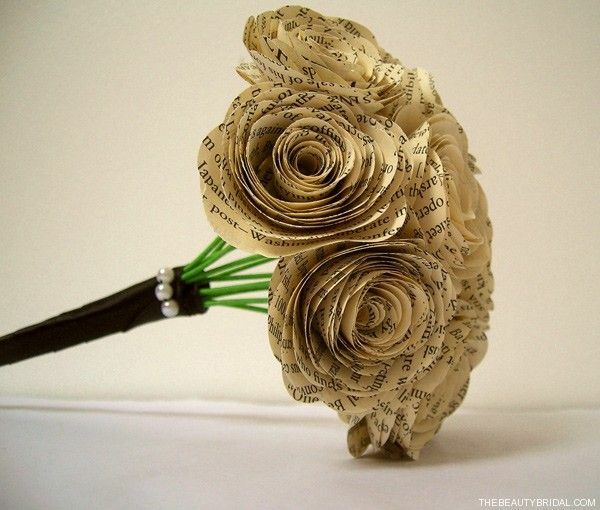 You can of course make a bouquet out of just about anything, just use your creativity! Why not just ditch the bouquet idea altogether? Why says you even need one? After all, it is YOUR big day! This entry was posted in DIY, Newly Engaged, Planning, Reception and Party, Traditions, Trends, Uncategorized and tagged Attire, Bridal Shop, Centerpieces, Creative, Feeling good, Flowers, Ideas, Planning, Preparing for the big day!, wedding memories by Affairs by Brittany. Bookmark the permalink.